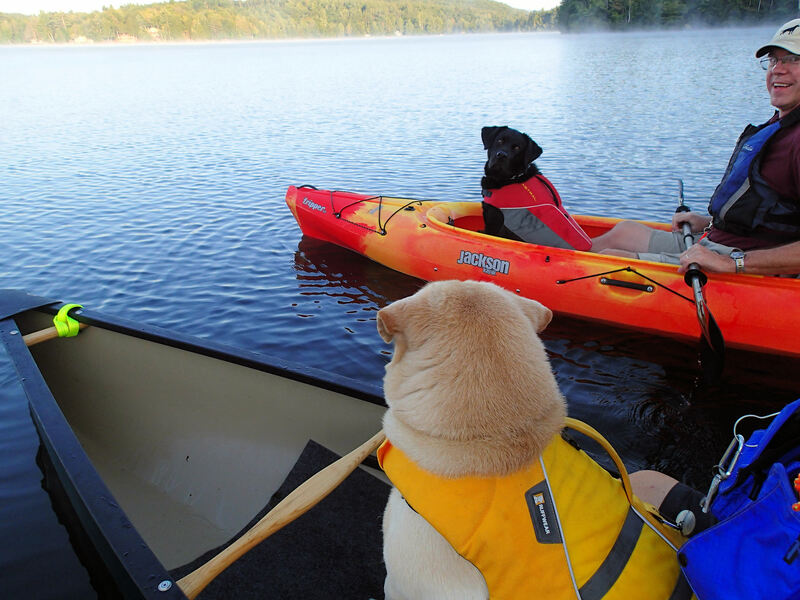 “There’s something about the water – that solitary kind of peaceful feeling. 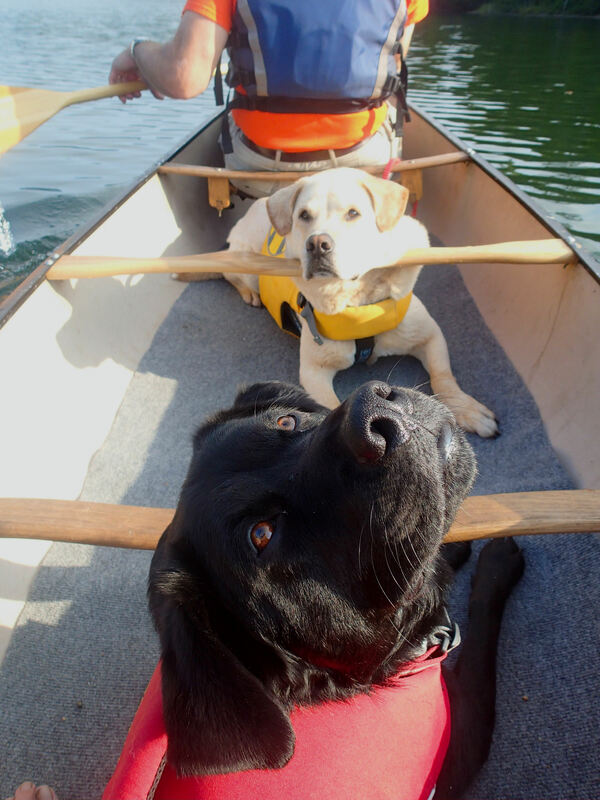 You’re on Earth but not quite.” | Vermont Paddle Pups! Wow! 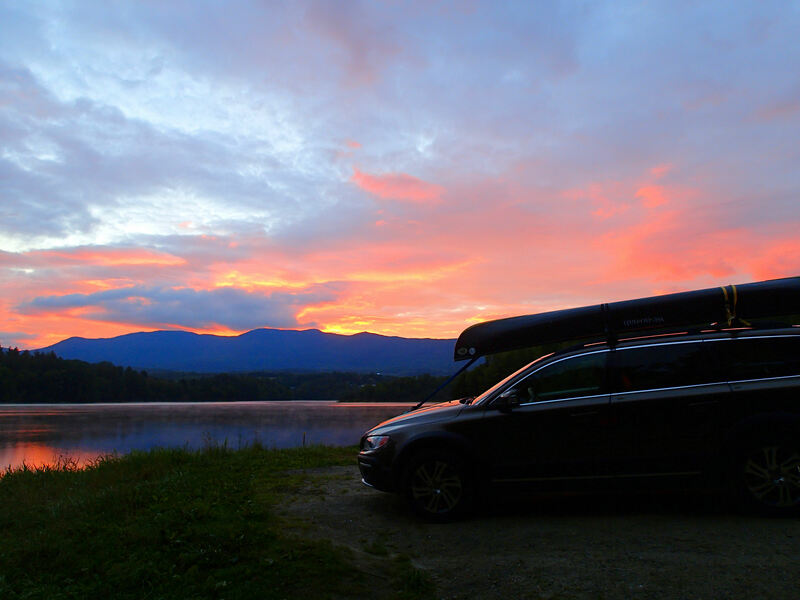 Labor day has come and gone, and despite the recent spell of very hot ( 90 f. +) and muggy days, we can sense our entry into the fall season…high up on the ridges, the colors are changing to russet and maroon…while lower down, on the water’s edge, snippets of reds and oranges can be seen. 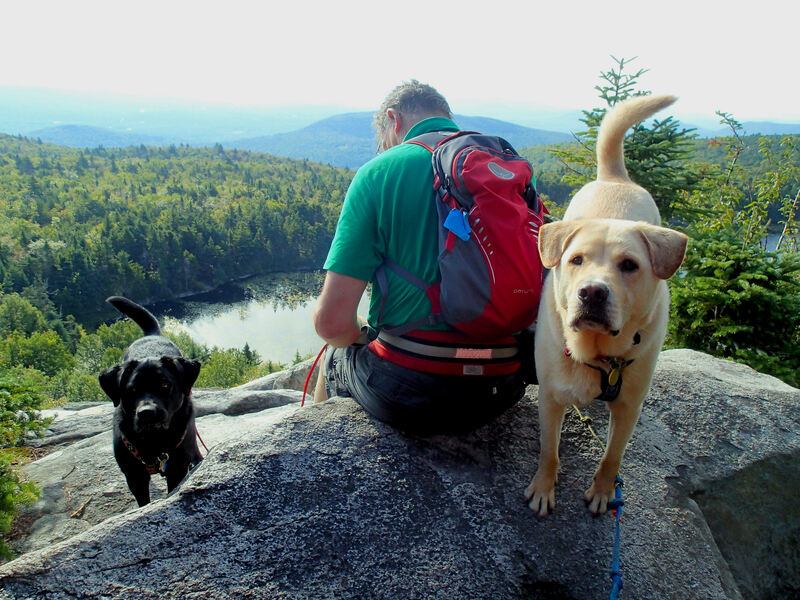 Some of the best hiking and paddling days are ahead of us, and we plan to take full advantage of the season. 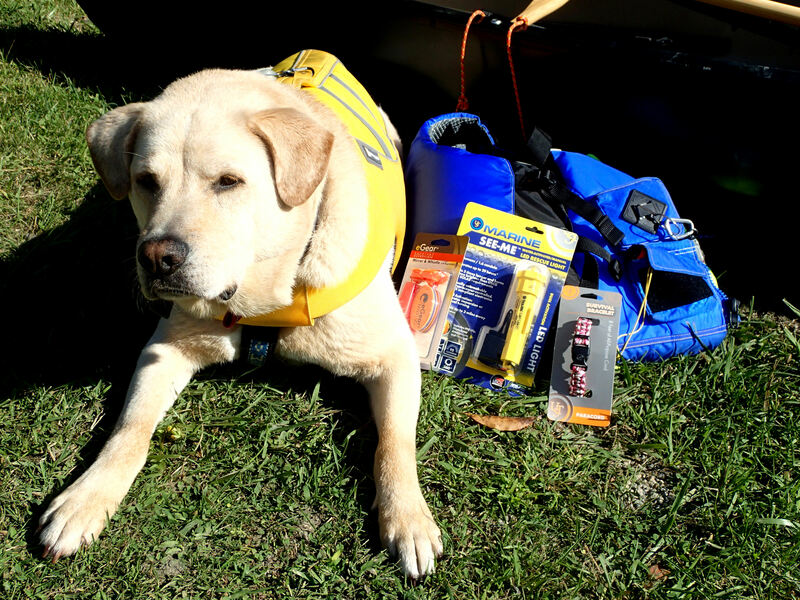 We have multiple canoeing and camping trips planned, and in a few weeks, we will be at the Sled Dog Trade Fair, getting psyched for winter. Our Top 10! 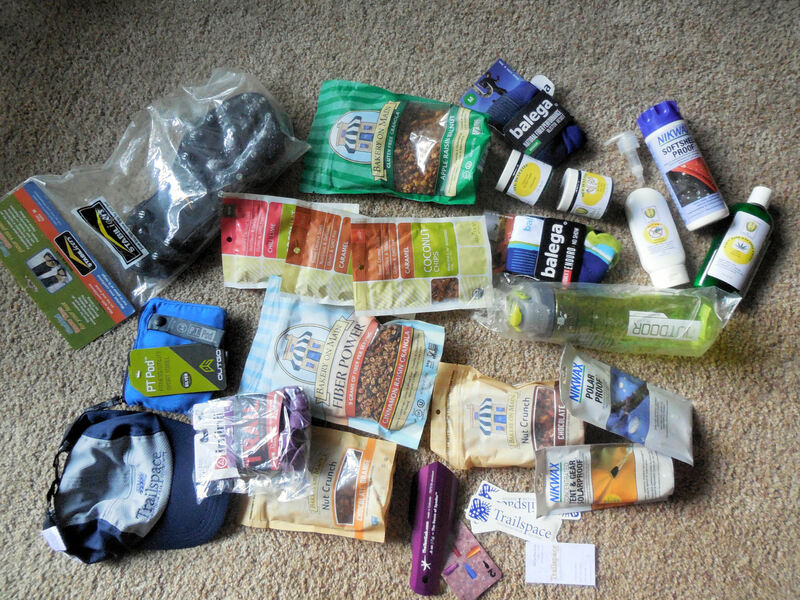 ( Since last blog post, anyway) Not in any particular order…..
1. WINNINGS ! Trailspace Swag ! 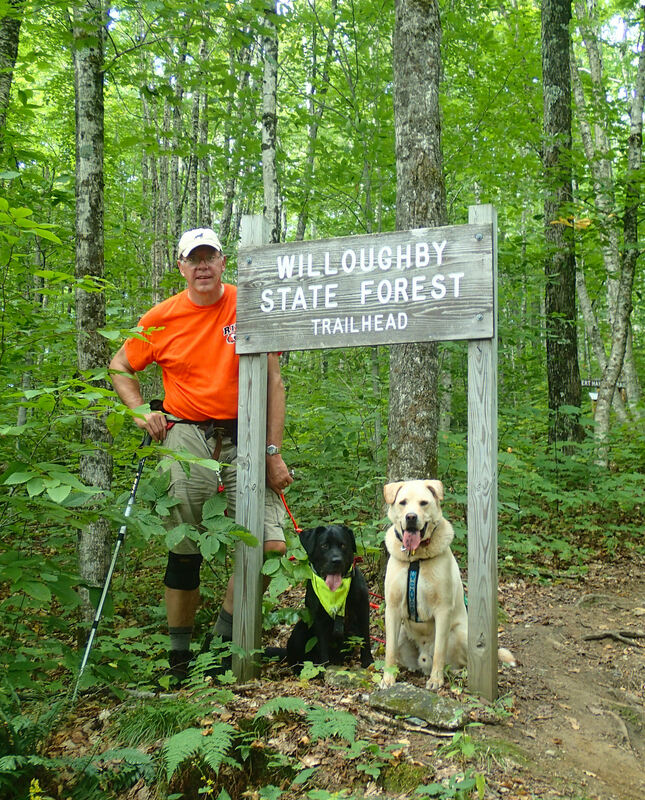 I received the Eureka Midori 2 tent that Trailsace.com awarded me, as the Reviewer of the Month for August…it looks great, and I will be giving it a test run next week on a solo canoe camping trip. I set it up for practice, and to apply the sunproof/waterproof stuff that Trailspace also provided. 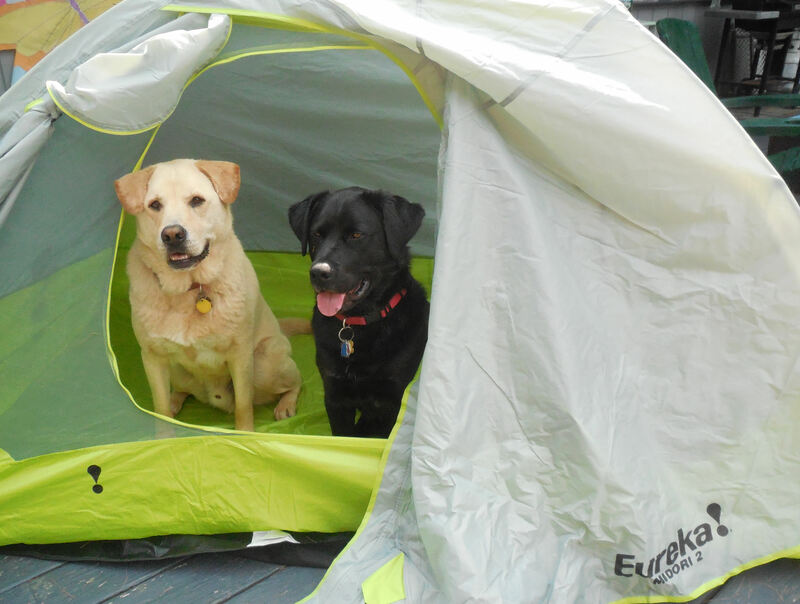 Gryphon thought the tent looked very inviting, and he hopped right in…followed shortly thereafter by Edgar! 3. Early morning paddling Since sunrise is a bit later these mornings, it seems a bit easier to get out bright and early…it does not have to be before 6 am! 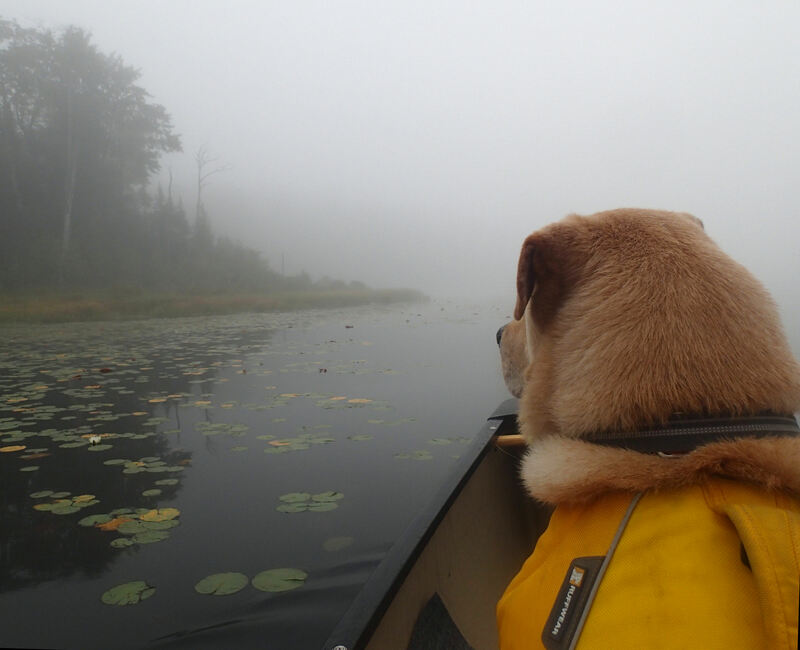 Even so, the earlier we get out, the more likely we are to encounter wonderful peaceful paddling, in either morning fog or mist. 4. Lake Solitude Hike Gryphon and I have hiked this area before, but this month, we were able to share this fun, interesting, and rewarding hike with Edgar and my husband. We got out early, so we encountered no other hikers as we climbed…and on the way down, we only passed a few other hikers. The overlook area is quite small, so it was nice to have the rocky outcropping to ourselves…. 5. 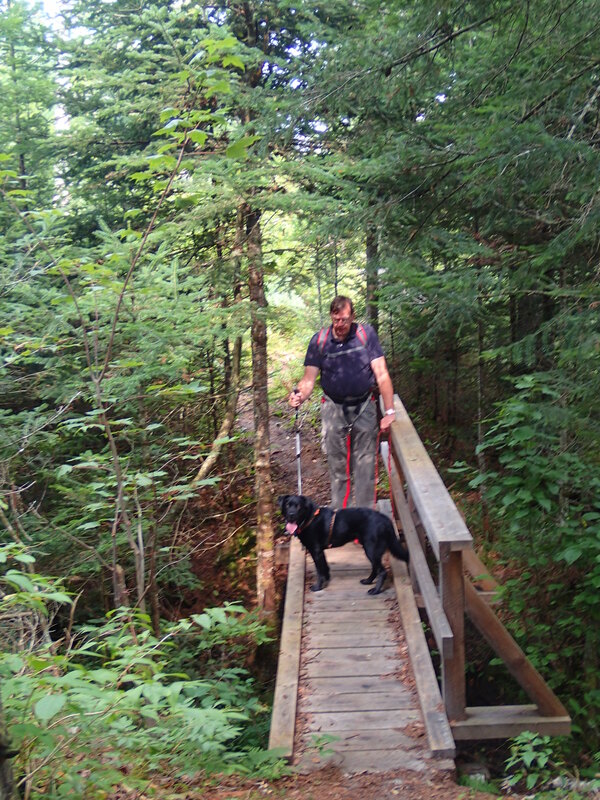 Short local hikes, during the stinkin’ hot days , it is nice to have local trail networks, where we can hike to dogs for an hour or so, in the shady woods. 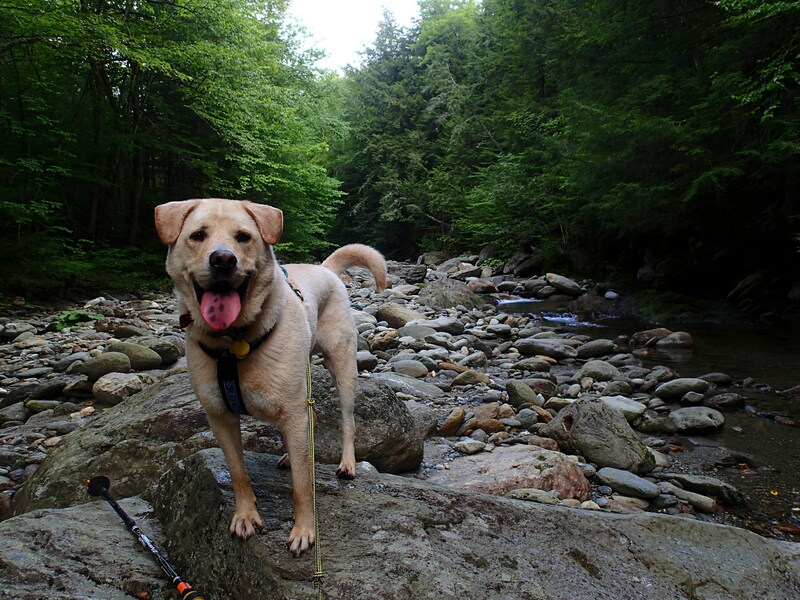 Most of these trails have plentiful water supplies, so the dogs really enjoy hiking them…. 6. McDaniels Marsh We have canoed here before in the “big boat”…but this time we used the solo canoe and the kayak…great fun exploring the 600 acre marsh, finding narrow channels to navigate our way through the marsh foliage, and around underwater obstacles. Really a beautiful spot, in Springfield, NH. 7. New Kayak! 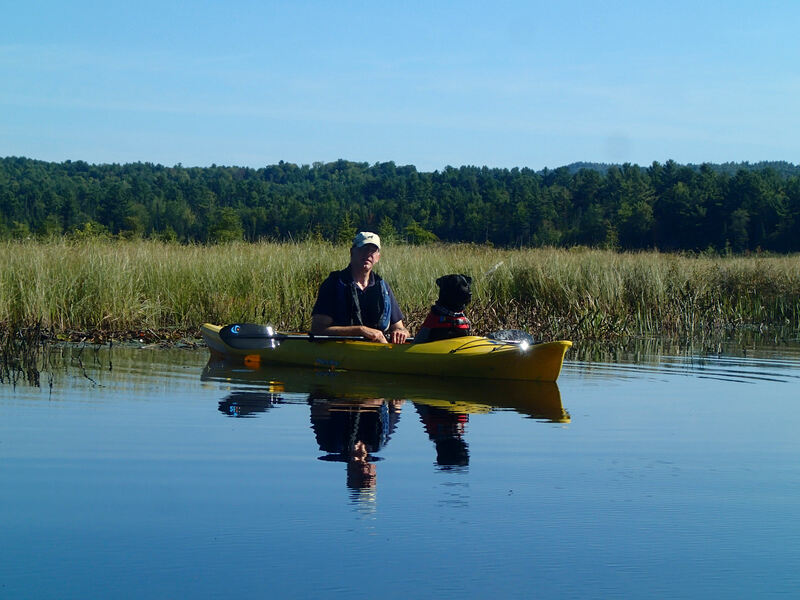 A trip to Concord NH, led to a test drive for my husband and Edgar, in a Jackson Tripper 12…a kayak designed with room for taking your human, or canine, child paddling with you. The reaction was extremely positive, so we drive home with a new boat on the roof! 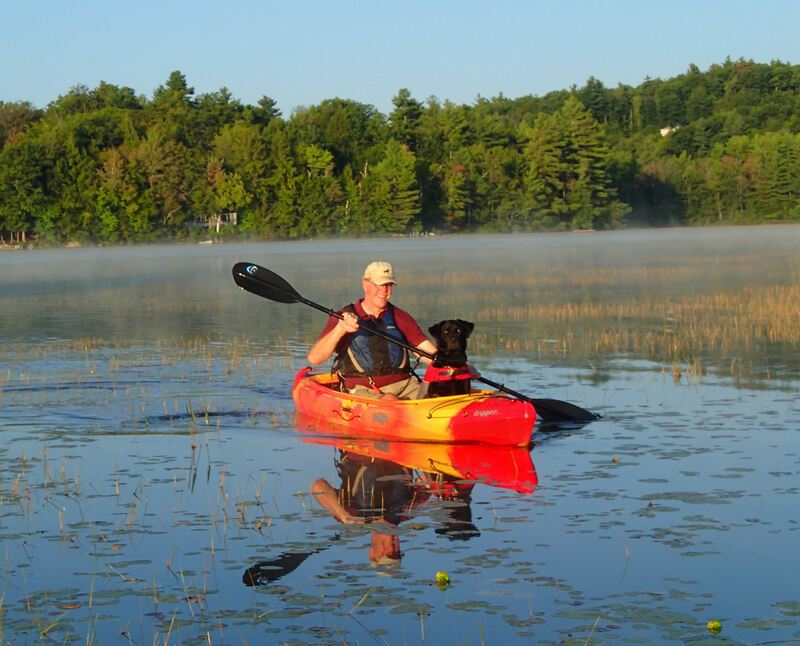 Next morning…a nice maiden voyage, with the loons and rising mist, on Otter Pond in New London, NH. 9. Labor Day in the Northeast Kingdom! 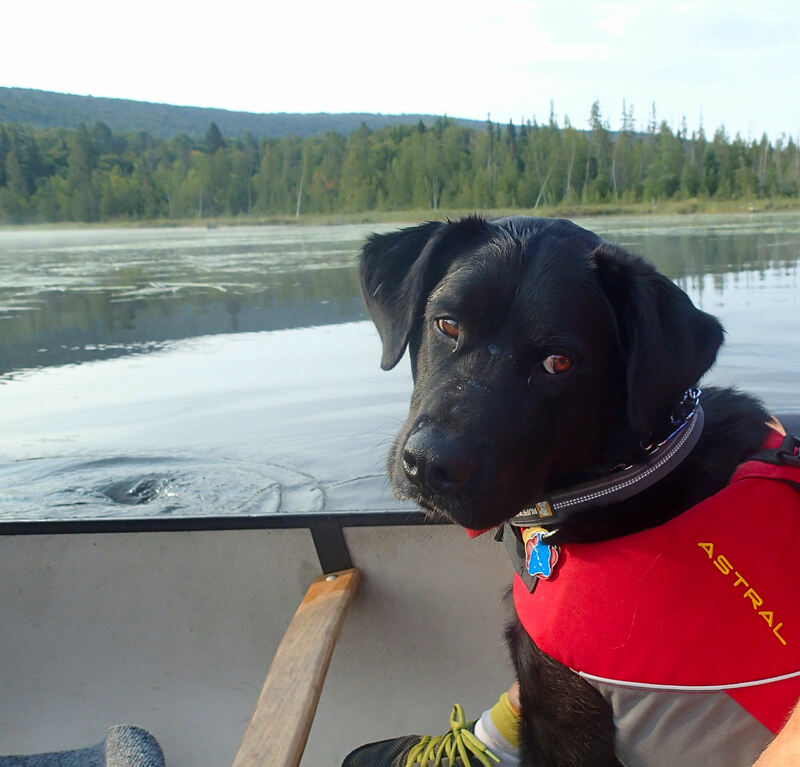 We canoed on a pond that we had discovered last year, while hiking a nearby mountain…this time, we really enjoyed the time on Long Pond. 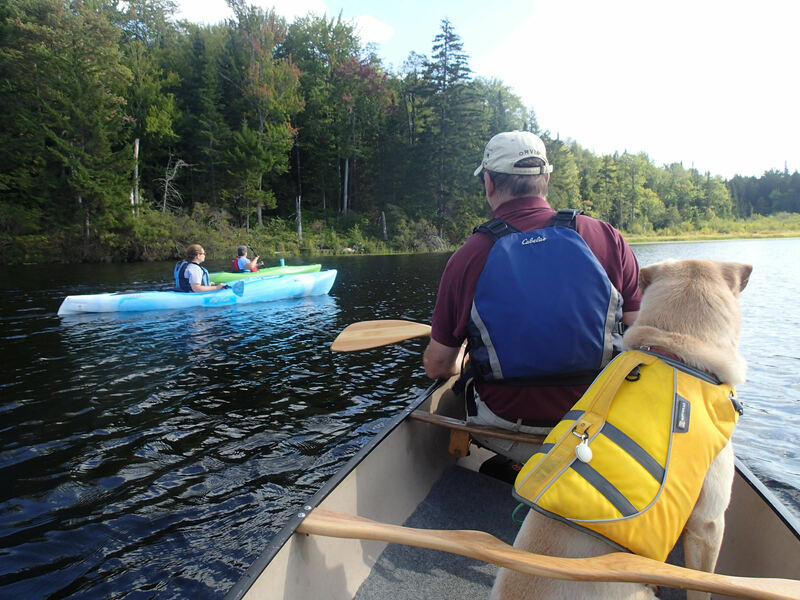 There were the usual bird sightings ( heron, loons, kingfishers, etc ), but it was really cool when the loons flew within 20 feet of our canoe, only 15 feet above the water line…Beautiful! After our canoeing, we hiked up Mt. Hor, an area where we had done some snowshoeing last winter….it was quite hot by mid-day, so we kept the hike short, only a mile or so each way…one of those hikes with little effort for a great reward. 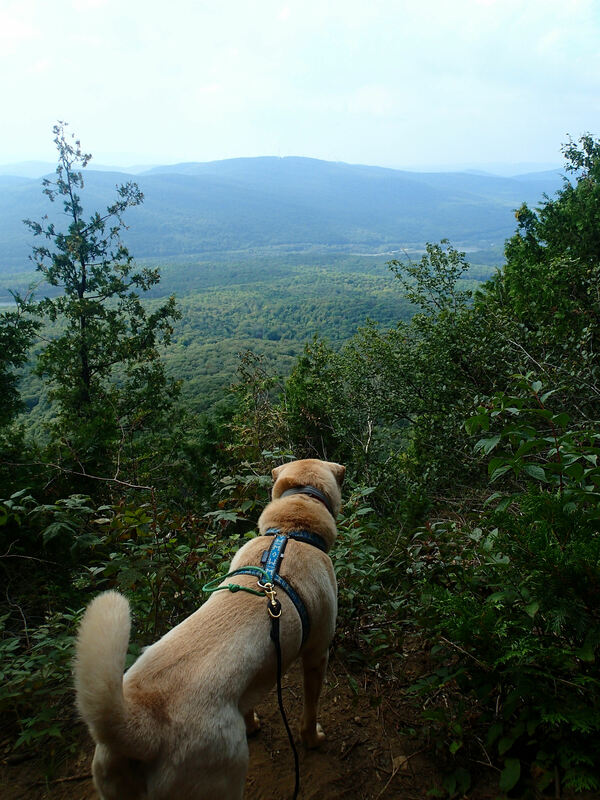 At the overlook, hawks were circling and soaring below us…definitely a different perspective. 10. 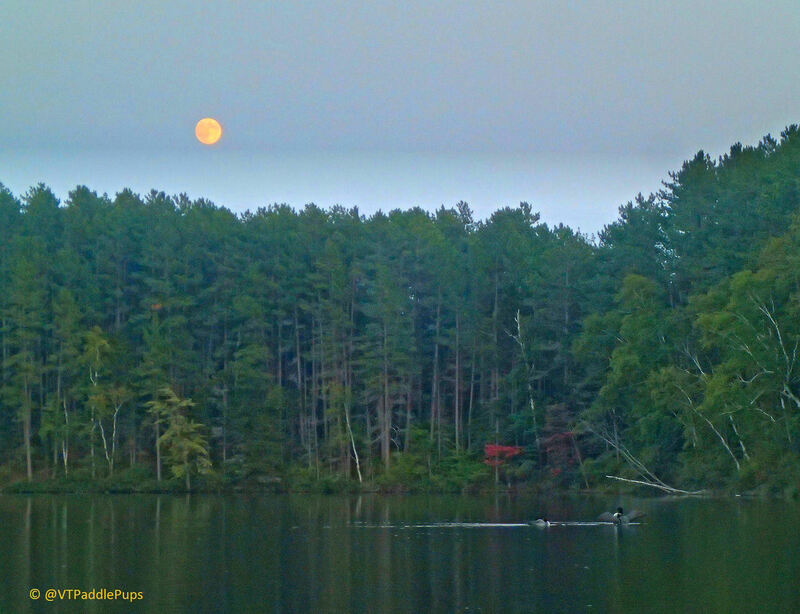 The Best ( and Worst) of State Park camping Two nights on Spectacle Pond, at Brighton Sate Park…the first night, peaceful calm, and a wonderful full moon paddle on the pond. We were camping in “luxury” , using a lean-to on the waterfront site, and both adjacent sites were vacant that first night. Second night, we had a very quiet , mellow group of mountain bikers to one side of us. On the other side, there was a dad, and three high school age boys…we figured they would be mature enough to not disturb us. Then another man joined them, who was some type of big-wig from a nearby ski area ( his car’s plate was JAY PK 1), so we assumed that as a responsible business person from a large resort ( must be Jay Peak! ), all would be fine. Well, not so much….they were loud, carrying on very detailed and loud conversations , with a radio playing well into the night ( despite my asking them to keep it down, at 9:30 pm). At midnight, one of the boys brought out his guitar, and it was “hootenanny time”….that led to another “request” from me to knock it off! 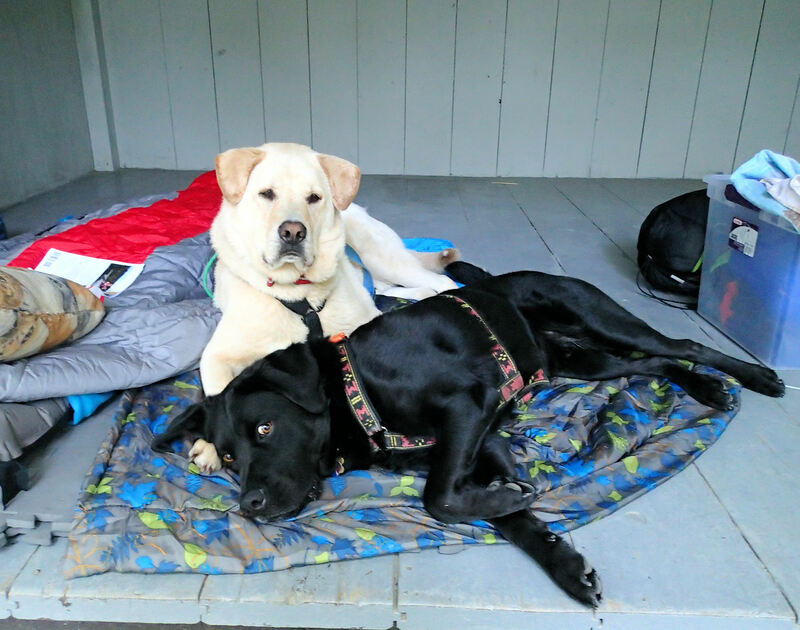 They finally did settle down….the next morning we made a report to the ranger, so that the campers who followed us to our site would not be subject to that rude and obnoxious behavior. 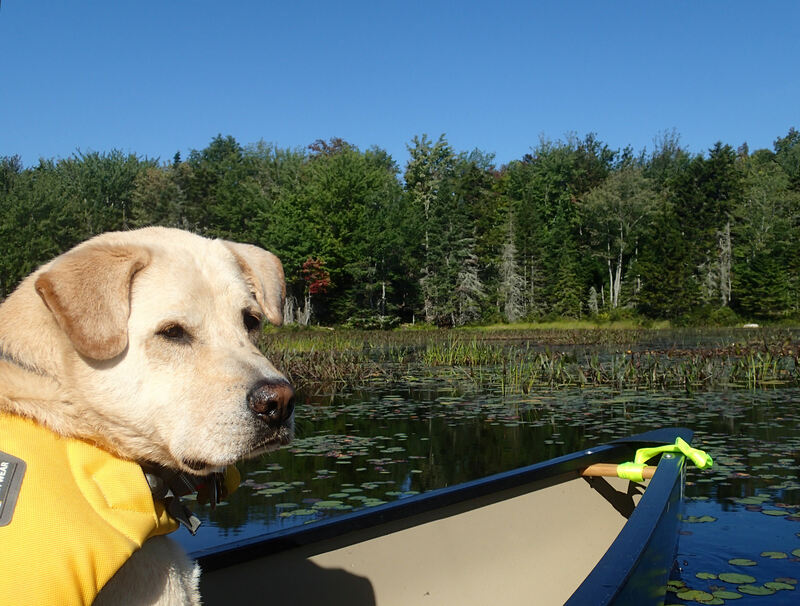 But other than those rude campers, it was a great trip…we traveled further up towards the Canadian Border, and paddled Norton Lake, and also made a trek over to Little Averill Pond. We got caught in quite the wind on Little Averill, but we managed to get back to the launch site without taking on water, and without getting seasick! We even went out to the North Branch Trail where we had snowshoed in March….there was still a lot of moose poop on the trail, but no moose sightings..we were hiking the wrong time of day for that. 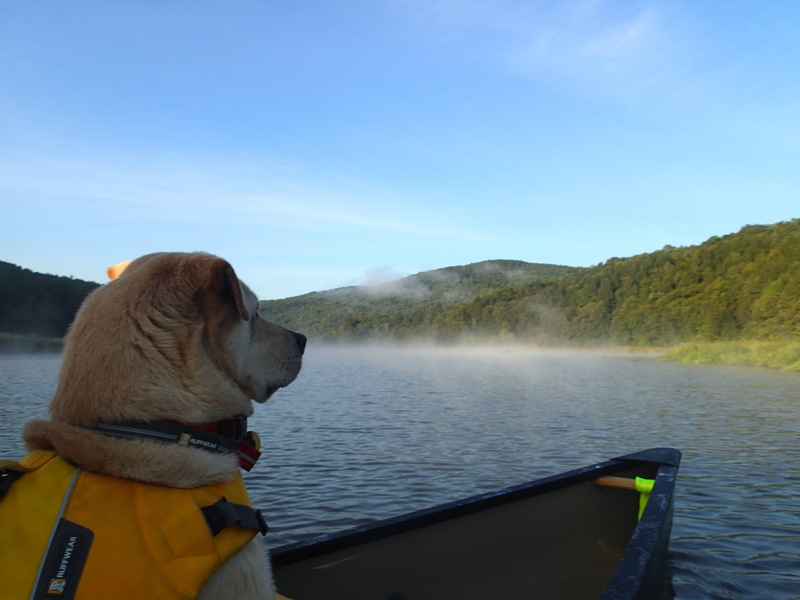 And as the weather (hopefully) cools this week, we head off for some more canoe camping, at our favorite local spot, Green River Reservoir. 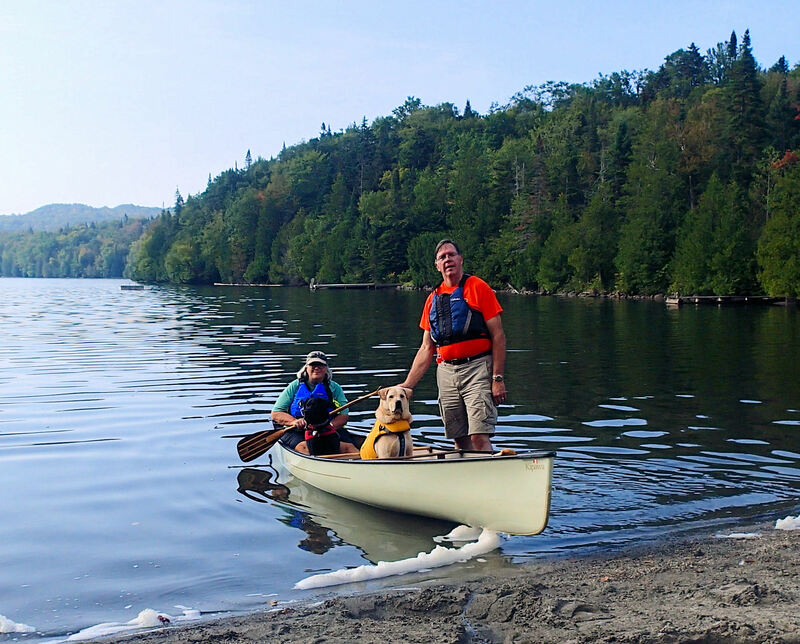 It may mark the first camping trip in which we take 2 boats, loading up the solo canoe and the kayak with our gear…this could be fun! 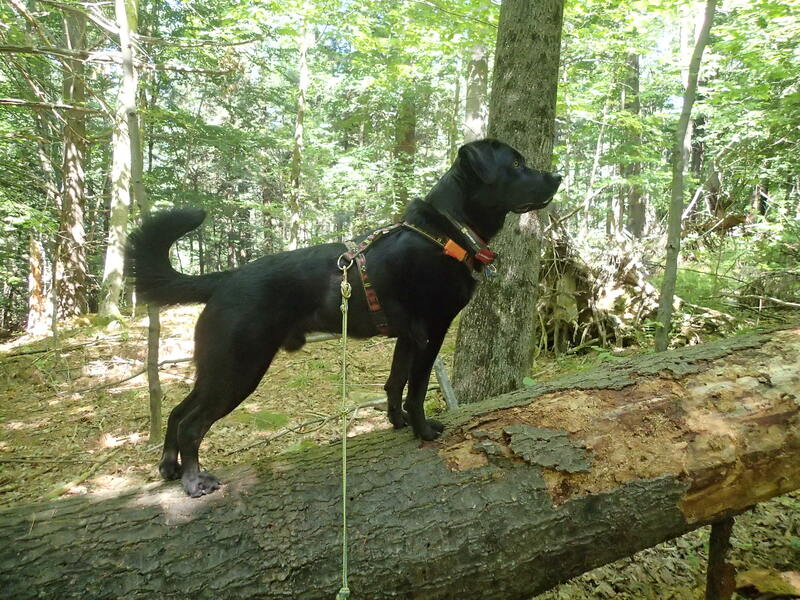 Be sure to “like” our facebook page, Vermont Paddle Pups https://www.facebook.com/vermontpaddlerK9 if you enjoy our photos…that site gets updated a few times a week, with lots of photos from our adventures! 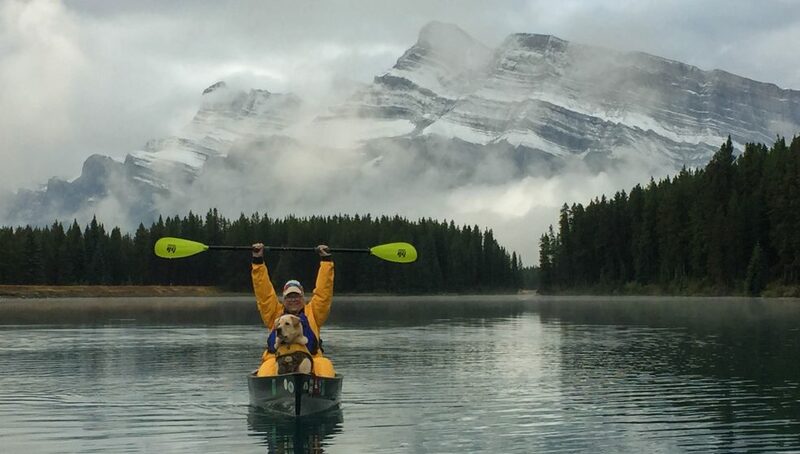 ← A Peaceful Compilation..as we reach the half-way point of Paddling Season…..